What makes Rocky such a successful boxer? We've analyzed the movies to figure out the secret to his success and we've decided that it's his face. Having the kind of face that tells your opponent that you mean business and that you can take tons of punishment? Well, that's something only the champ can do! Luckily, you don't have to resort to any expensive plastic surgery to get that kind of look. There's an easier way... Introducing this Adult Rocky Balboa Mask! 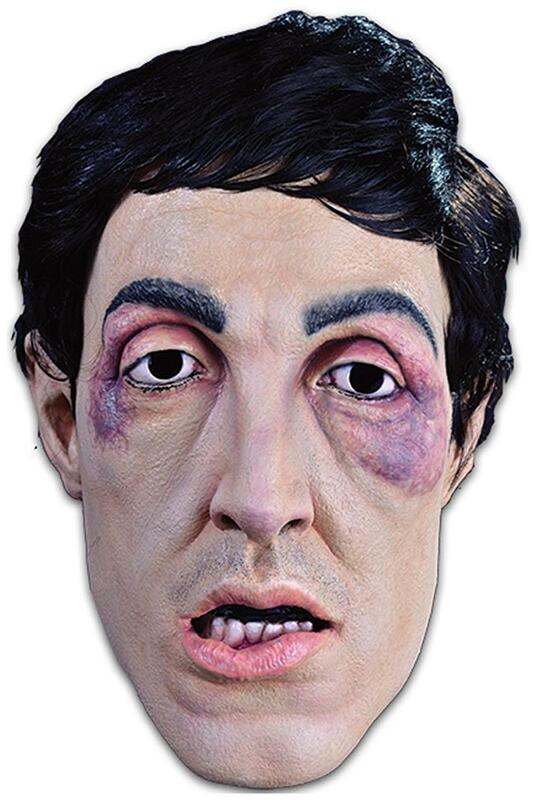 The licensed mask gives you the look of a young Sylvester Stallone from the Rocky movies. It also features the classic bottom jutting lip move of the Italian Stallion, so there will be no question of your boxing pedigree.